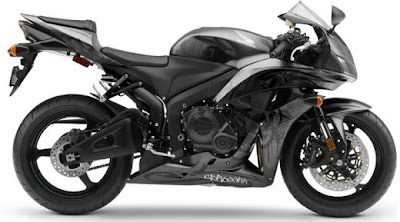 Dot't wory this is specs of CBR new modif. 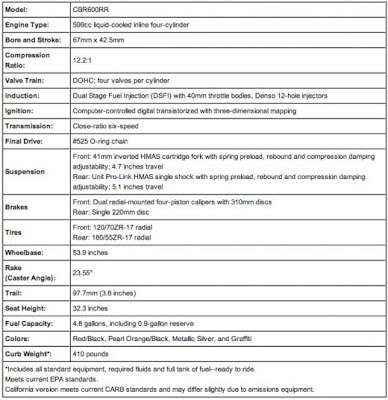 New specifications of Honda CBR600RR. The Honda CBR 600 has had consistently good reviews since they introduced the model and with good reason. There are a selection of reviews from the 2007 launch at the bottom of the page – still applicable as the CBR 600RR has not had any significant changes this year. CBR600’s have been winning accolades and awards all round the world since 1987.